I always leave my shoes at work. I wear shoes into work that I don’t really care about and swap them out right before I step on the floor. I have an antimicrobial workbag and wear antimicrobial scrubs. And you can have them, too. Check out two new brands by Cherokee®—Code Happy® and Infinity by Cherokee®. These brands feature a wide array of products that have been treated with Certainty® anti-microbial technology—something you’re going to be hearing a lot about very soon. The treatment itself uses a compound called SILVADUR. This contains silver (you know, that stuff we put in wounds and on catheters that’s been a known antimicrobial for thousands of years?) and can reduce, inhibit and minimize bacterial loads on the garment itself. Not so for the wearer (again—just the garment), so it cannot contribute to your personal antibiotic resistance, but it is yet another added layer of safety we can all raise our glasses to. Oh, and FYI: The compound has been extensively tested. The verdict? It’s both safe and noncarcinogenic. I clean my smartphone multiple times during my shift. When there’s downtime, my coworkers and I will grab some wipes and clean keyboards and mice. I practice hand hygiene, like, constantly. I change my clothes right when I get home from work. I know some people who have a washer and dryer in their garage and change before walking into the house! My garage is too small for that, but if it were large enough, that would definitely be part of my routine. No matter how exhausted I am, I shower when I get home from work. My husband and I keep our home pretty clean. I like to use natural cleaning products to reduce our exposure to chemicals like bleach. I use a product called Norwex (no, I’m not a spokesperson for them! ), which uses microfiber and silver to remove and kill bacteria naturally. They have various cloths I use on different surfaces in addition to a softer body cloth that I use on my face instead of face wash. I also like to use products from the Honest Company (again, not a spokesperson) for their natural personal and home care products. We try to do whatever we can to minimize our exposure to chemicals and stay clean. You’d be surprised how many are in a bottle of shampoo or bathroom cleaner. 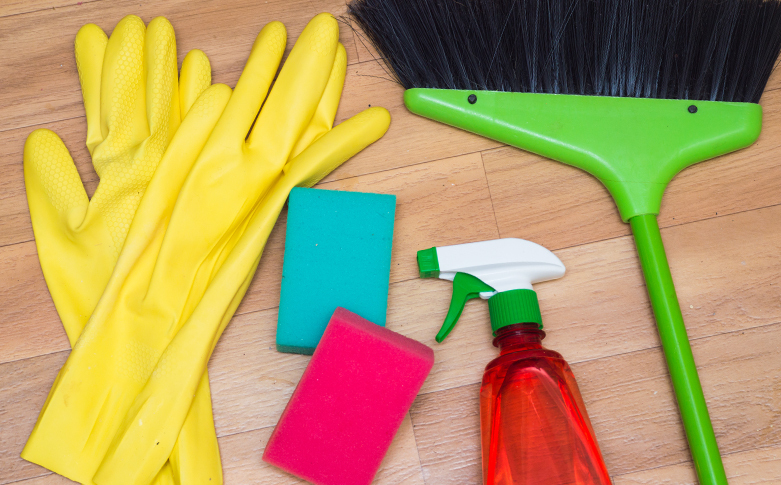 We clean our home weekly and make sure to sanitize thoroughly after one of us gets sick. This means tossing toothbrushes, deep cleaning bathrooms, cleaning phones, and using the sanitize cycle on our dishwasher and washing machine. It’s also important to wash your sheets and pillows regularly. I also believe a big part in protecting yourself and fighting germs is staying healthy yourself. We’re not perfect, but my husband and I make a concerted effort to eat naturally and healthy, exercise regularly and enjoy quiet time in this constantly busy world. Your immune system is what physically fights these bugs, and if you have poor nutrition and sit on the couch and watch Netflix all day (as tempting as it sounds! ), fighting sickness is going to be much more difficult for your body than for someone else’s. Eat natural things that strengthen your immune system. Take care of your body. Do things you enjoy. Take vacations. Be active. All of this supports your mind, body and soul, which will better help your body fight germs and illness.